3 Bdrm Semi-detached Dwellhouse and shop suitable for conversion. 3 Bdrms. 1 Public rm. 2 Bathrms (CT band - N/A). Garage. Price around £110,000 Entry by arr. Viewing Claire Chalmers 07779 726 263/ 01466 780797. 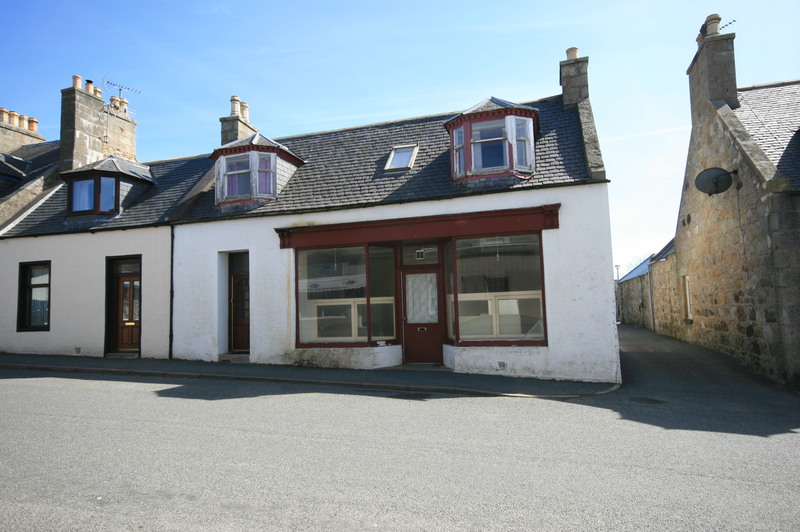 An excellent opportunity has arisen to convert a shop and house into a good sized dwellinghouse. 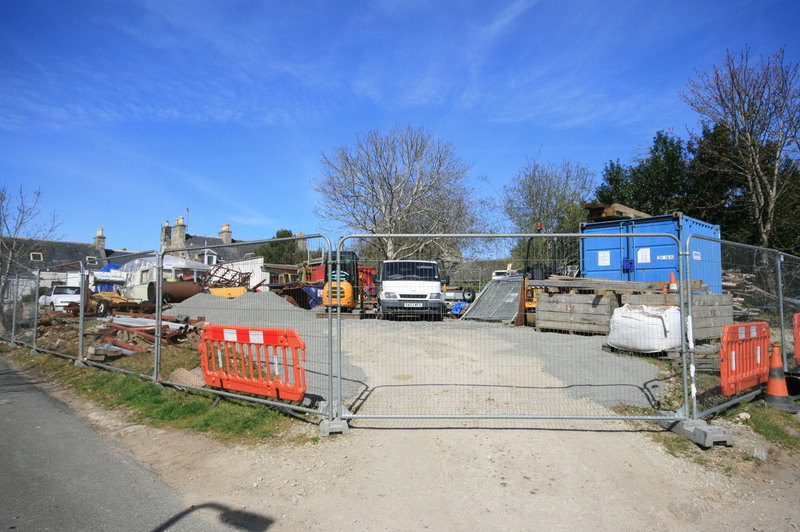 At the rear there is a large area of ground which would make an ideal building plot for a dwellinghouse. The whole property extends between Main Street and Southview Terrace. 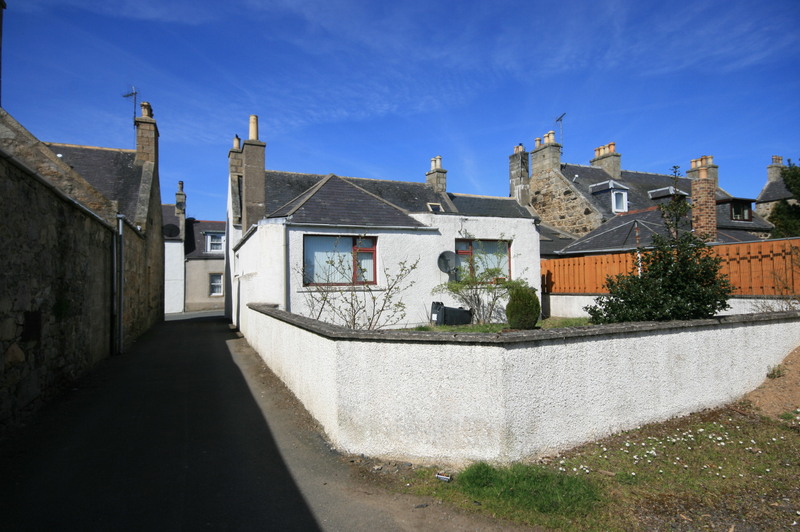 With regard to the conversion of the shop and house and also the building of a dwellinghouse on the building plot the purchaser would require to obtain all necessary Planning permissions from Aberdeenshire Council. The purchaser would also have to arrange all necessary connections to mains services. LOCATION The main shopping thoroughfares of the village are only a few minutes walk. There is primary school in the village and secondary schooling is at Banff approximately 9 miles. Local amenities include Library, outdoor and indoor bowling and medical centre. Aberdeen is approximately 42 miles.